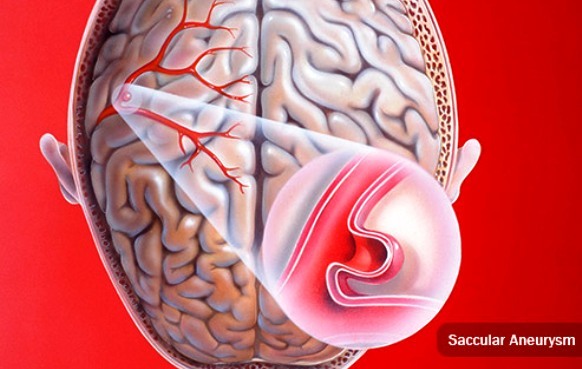 What Is A Brain Aneurysm: An aneurysm is a weak spot in one of your brain's arteries. An aneurysm is a weak spot in one of your brain's arteries (blood vessels that carry oxygen from your heart to the rest of your body). They tend to happen where arteries fork. Over time, flowing blood puts pressure on that spot and makes it give way and balloon out. It's a lot like a worn-out garden hose that bulges where it's gotten thin. Most people who have an aneurysm don't know it. But if it bursts, it can be life-threatening and cause brain damage. There are two basic kinds, based on their shape. 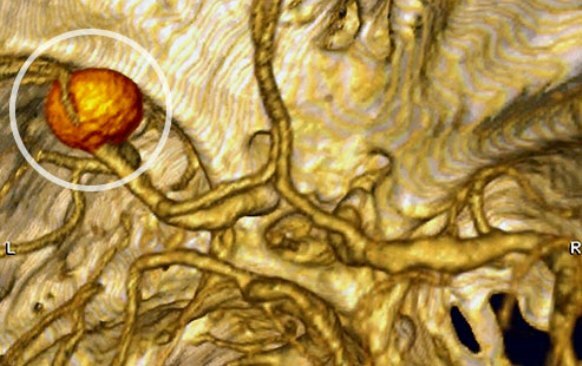 Saccular aneurysms, also called berry aneurysms, are by far the most common. A small pouch forms on one side of the artery wall, so it looks like a berry with a short stem. Fusiform aneurysms make the artery bulge out in one area. They tend to be more common in people who have hardened arteries (when cholesterol and other fatty substances build up in your arteries and make them narrow). Call 911 if someone you're with suddenly gets an extreme headache, loses consciousness, or has a seizure. A burst aneurysm causes bleeding in your brain, and that leads to what's called a hemorrhagic stroke. (A stroke is when part of your brain doesn't get the blood it needs.) 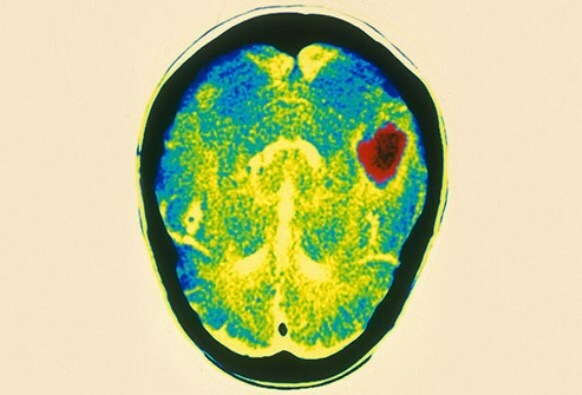 The blood itself, and the swelling and pressure that come along with it, can cause brain damage. Fluid from your brain and spine also may back up and add more pressure. Once this happens, there's a chance the aneurysm may bleed again, and the arteries in your brain can get narrow, which can cause another stroke. Doctors aren't exactly sure what causes an aneurysm, but your age and gender may affect your chances. Most people who have them are over 40, and women have them more often than men. This might be because levels of a hormone called estrogen drop after menopause, and that may make a woman's blood vessels more rigid. Your family history also may play a role. You're a little more likely to have one if a parent, brother, or sister had one. 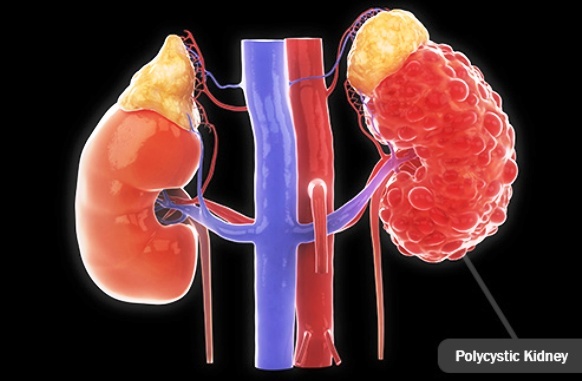 Some health problems may make you more likely to have an aneurysm, including certain conditions you're born with, like polycystic kidney disease, or tissue disorders, like Ehlers-Danlos syndrome. Your chances are also higher if you have hardened arteries, high blood pressure, or a serious head injury. Some lifestyle choices can raise your risk, too, like heavy drinking, smoking, or using illegal drugs, especially cocaine. Your doctor will probably want to do a computerized tomography (CT) scan to find out where it happened in your brain. (Several X-rays will be taken from different angles, and your doctor will put them together to make a more complete picture.) If that doesn't show anything, she may check your cerebrospinal fluid for red blood cells, which could be a sign of bleeding in your brain. Your doctor will use a thin needle to take a sample of fluid from your back. 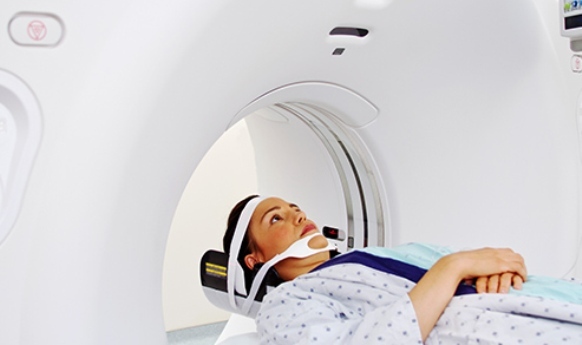 If your doctor doesn't think you had a rupture, he'll probably recommend a magnetic resonance imaging (MRI) scan to find the aneurysm. If your doctor still doesn't have the information he needs, you may get a cerebral angiogram. It uses X-rays and a special dye to show more details. Doctors treat this in two ways. The right one for you depends on the size and shape of the aneurysm and where it is in your brain. One option is called surgical clipping. This is open brain surgery where your doctor uses a metal clip to stop blood flow to the aneurysm. The other is called endovascular coiling. With this, your doctor puts a thin tube into your groin and up to your brain to take a ball of wire coils to the aneurysm. Clots form around the coils to keep blood from flowing there. You may need other treatments for problems a rupture can cause. This might include an angioplasty, where your doctor uses a small balloon to widen a blocked artery, or drugs to help with things like blood flow, pain, seizures, and vasospasms (when blood vessels in your brain suddenly get narrow). Some people also need surgery to keep fluid from building up in their brain. This will depend on whether your doctor thinks it's likely to burst. That's based on the size of the aneurysm, where it is, your age and overall health, and your family history. If your risk is low, you'll have regular checkups so your doctor can keep an eye on it. You may also need to make some lifestyle changes, like losing weight or having less fat in your diet. If your doctor thinks it's likely to rupture, he may recommend surgical clipping or endovascular coiling to keep that from happening. If you have endovascular coiling, you typically need to stay in the hospital overnight. You can start doing normal activities within a couple days. For surgical clipping, you'll spend a few days in the hospital, and it'll take at least 4 weeks to recover. You'll likely be in the hospital for at least 2 weeks. Some people have mild or almost no problems after a rupture, but bleeding and issues like vasospasms can cause brain damage. Surgical clipping can't undo that, but physical, occupational, and speech therapy may help. • Stay away from recreational drugs, especially cocaine. • Eat a healthy, low-fat, low-salt diet with lots of fruits and veggies. • Exercise often to lower your blood pressure and protect your blood vessels. • Limit alcohol: Stick to one drink a day for women and men over 65, two drinks for men under 65.